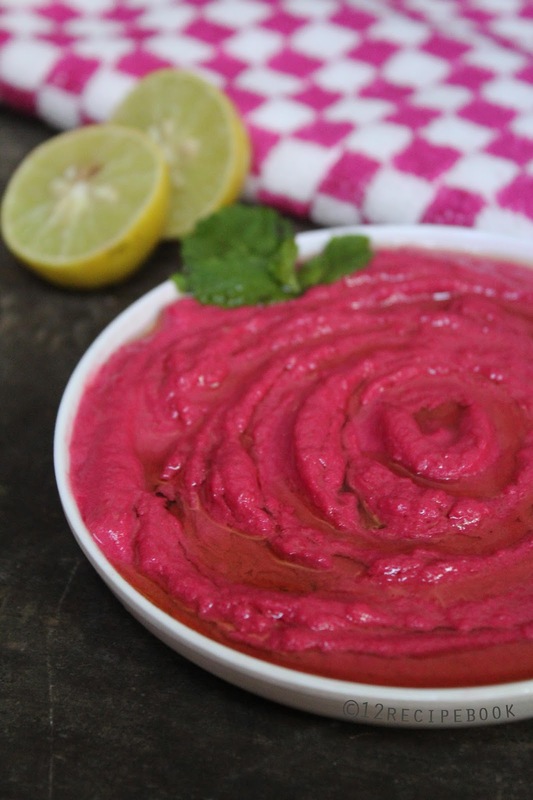 Hummus is one of the most popular and healthy dip out there now. There are lot of flavors and brands are available now. 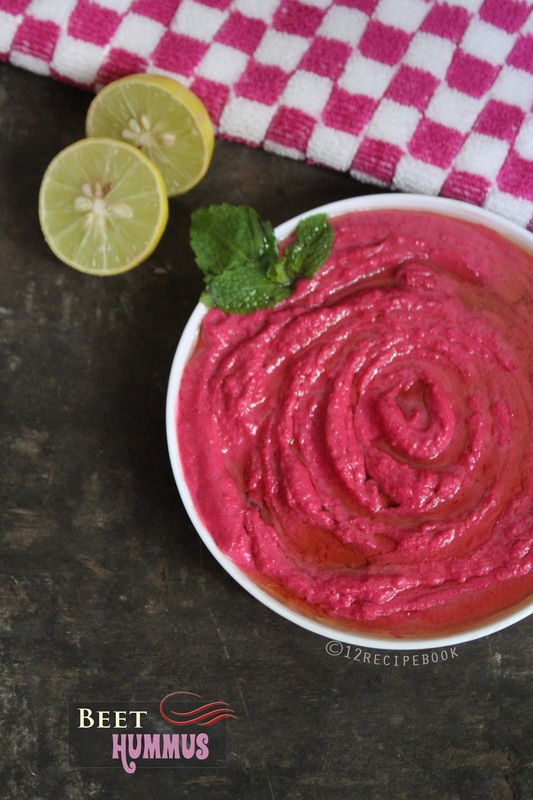 Beet hummus is a gorgeous and delicious one among them. It is a great alternative for the regular hummus and just need to add pre-cooked beet pieces along with the normal ingredients. Put it in top of salad; add it in to a sandwich or in side with crunchy snacks or simply with kuboos. Soak the chick peas in water for overnight. Pressure cooks the chick peas till it is cooked and boil out the excess water (or you can use the extra water for blending hummus). keep aside. Cook chopped beetroots with little salt and water for about 5-7 minutes until cooked and dried all the water content in it. Allow to cool completely. In a blender, add all the ingredients (chick pea cooked, beet cooked, sesame seeds, lemon juice, garlic, olive oil and salt). Make it in to a fine paste. Spread in to serving plate; Drizzle the hummus with extra olive oil on top of it. Enjoy it with Roti or Bread. (keep in fridge for about 10 days).